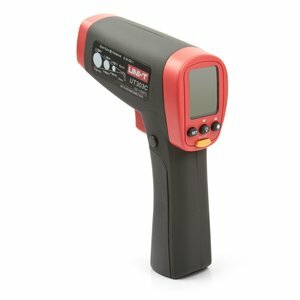 Infrared pyrometers are designed for applications requiring users to instantly measure temperature in hard-to-reach areas where you might need a ladder or where the object is hot, rapidly changing temperature, rotating, difficult to reach, energized, or in other dangerous situations (such as high voltage). 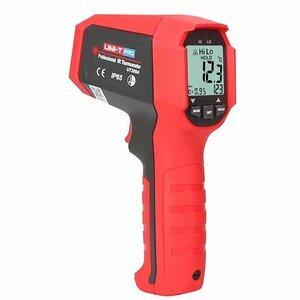 UNI-T UT303C pyrometer measures temperature within the range from -32ºC to 1050ºC in ºC or ºF. 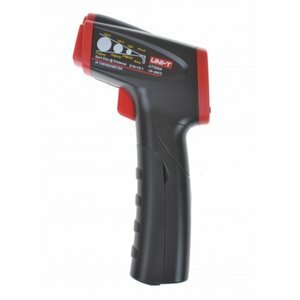 Infrared pyrometer for surface temperature measurements within the range from –18ºC to 550ºC. Data Hold, Max/Min/Dif/Avg, ºC/ºF selection. 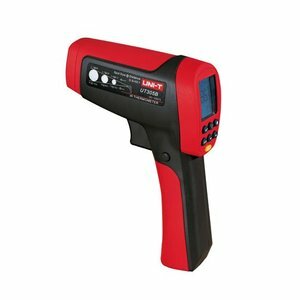 An infrared pyrometer for temperature measurements within the range from -50ºC to 1550ºC. ºC/ºF selection. 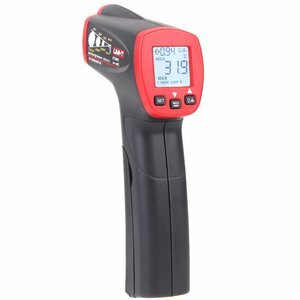 Infrared thermometer measures temperature within the range from -32ºC to 650ºC in ºC or ºF. 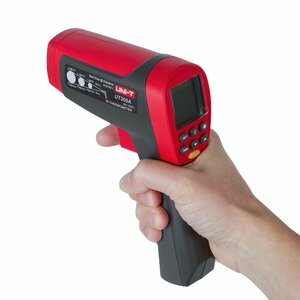 An infrared pyrometer for surface temperature measurements within the range from -18 ºC to 380 ºC. D:S 10:1. An infrared pyrometer for surface temperature measurements within the range from -20 ºC to 400 ºC. 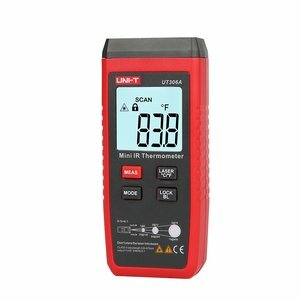 Portable non-contact thermometer with a measurement range from -35 to 300℃. 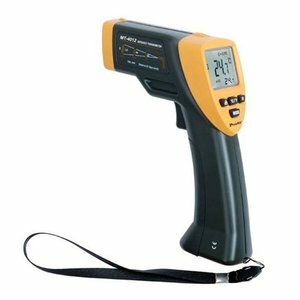 IR Thermometer is used for measuring surface temperature and objects, measuring hot spots in electrical panels and equipment and also for in-process temperature measurements. 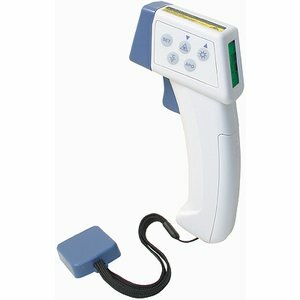 Infrared pyrometer for surface temperature measurements of objects which are difficult to reach or unsafe to contact. 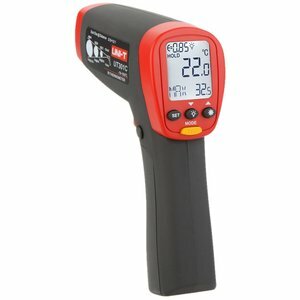 Range -20~537ºC/ -4~999ºF. 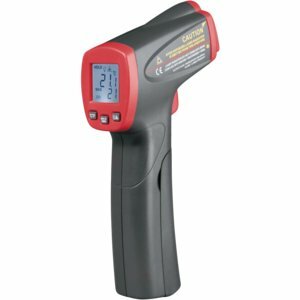 An infrared pyrometer for temperature measurements within the range from -50ºC to 1250ºC. ºC/ºF selection. 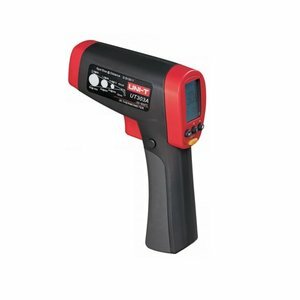 Infrared pyrometer for surface temperature measurements within the range from –18ºC to 350ºC. Data Hold, Max/Min/Dif/Avg, ºC/ºF selection. 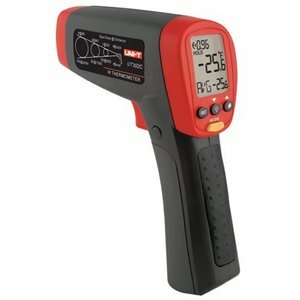 An infrared pyrometer for surface temperature measurements within the range from -35 ºC to 450 ºC. Response time: 250 ms. D:S ratio: 10:1. 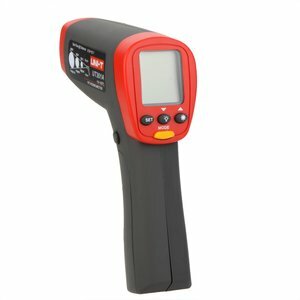 An infrared pyrometer for surface temperature measurements within the range from -18 ºC to 280 ºC. D:S 10:1. 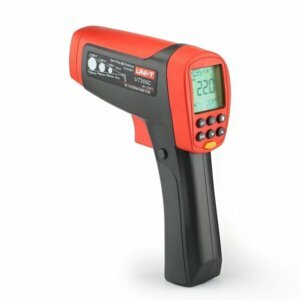 An infrared pyrometer for temperature measurements within the range from -32 to 850 ºC. ºC/ºF selection.